Massage. Doesn’t the word make you crave a relaxing treatment that will melt away your tensions and stresses? Wouldn’t it be wonderful to get a massage—maybe even right now? We often think of massage as a luxurious treat, an indulgence—even a splurge. But in fact, massage is an important component of optimal health. It has been used for centuries in a variety of traditional cultures to strengthen well-being and vitality. Today, massage therapy is increasing exponentially, and research highlighting the many benefits of massage is growing just as dramatically. So why not make massage a valuable part of your life? How about even giving yourself a massage every day? It’s easier than you might think and oh so worth it. Abhyanga, the term used to describe an Ayurvedic oil massage, is recommended for almost everybody of any age, from a newborn child to an elderly person. Whether you enjoy a warm oil massage from a massage therapist or take a little time to massage yourself, the benefits are well worth the investment. Why is warm oil an important part of massage? In Sanskrit, the word sneha can be translated as both “oil” and “love”.  So in Ayurveda, there is an inherent connection between enveloping the body in oil and enveloping it in love. Both oil and love provide a sense of nurturing, grounding, and nourishment. These qualities benefit the entire body, particularly the nervous system; and most importantly, they support the entire being—body, mind, and spirit. Giving yourself a massage with warm oil gives you the opportunity to give love and nourishment to yourself. Ancient Ayurvedic texts describe the benefits of massage for the whole body and specifically outline the benefits of applying oil to the scalp, the ears, and the feet. Because Ayurveda considers the scalp, the ears, and the feet to be maps representing the whole body, massaging these areas can positively impact other bodily parts and systems. 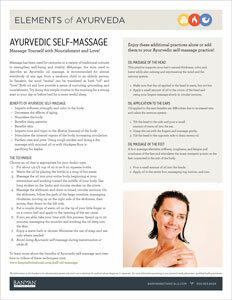 Ayurvedic teachings recommend a daily self-massage, which need only take about fifteen minutes. The rewards include support of the musculoskeletal and nervous systems, proper circulation and lymph drainage, and regular sleep patterns, to name a few. Oil massage stimulates the scalp and promotes lustrous hair. It can also be helpful in the process of aging gracefully. And in Ayurvedic terms, it is of benefit to all three doshas—vata, pitta, and kapha, especially vata. These oil blends are meticulously made according to Ayurvedic tradition, taking days to slowly infuse the selected herbs into the base oils. The finished results are beautiful, potent blends that, thanks to the different herbal combinations, can bring unique support and balance. Daily Massage Oil is your tridoshic go-to oil for all doshas and can be used anytime, anywhere. It combines powerful Ayurvedic herbs like guduchi to soothe and rejuvenate, bala to strengthen, and arjuna and tulsi to invigorate, promote circulation, and support the lymphatic system. Brahmi/gotu kola and bhringaraj are added to further support and steady the mind. Particularly grounding and calming, Vata Massage Oil is great for full-body massage and can make a wonderful oil for a gentle foot massage before bed. The synergistic blend of nine herbs, such as ashwagandha, bala, and shatavari, come together to offer their strengthening, nourishing, and revitalizing properties, making it a perfect choice if you have more vata or are in the winter season. This is an excellent choice if you have a little more heat in your system and would like to keep pitta balanced or would like cooling support during the summer season. It combines herbs like manjistha, brahmi/gotu kola, shatavari, guduchi, and licorice to cool, soothe, and relax the body and mind. A warming and revitalizing blend, Kapha Massage Oil includes herbs like punarnava, chitrak, calamus, and rosemary. Together, the herbs work together to create an energizing, activating, and mobilizing oil. It is a fantastic choice for the spring season or any time kapha is elevated. Used with a more vigorous massage, this oil helps to stimulate circulation and lymphatic movement, bringing energy to the body and mind. Taking the first steps to do a self-massage may seem daunting, so if you’re trying it for the first time, choose a more leisurely day. Once you’ve done the process a couple of times, you’ll see that it’s possible to give yourself this rejuvenating treat in only fifteen minutes. Put about a ½ cup of oil in a 4 oz. squeeze bottle. At least once a week, give a little extra time and attention to massaging the oil into your scalp, ears, and feet. Apply oil to the crown of your head and work slowly out from there in circular strokes. Oil applied to the head should be warm, but not hot. Put a couple drops of warm oil on the tip of your little finger or on a cotton ball and apply to the opening of the ear canal. (If you have any current or chronic discomfort in your ears, don’t do this without the recommendation of your healthcare practitioner). When you massage your feet, be sure you don’t slip. Your daily oil massage can be simple and straightforward. Or you might want to really treat yourself and make it an event, playing soothing music, lighting candles, and arranging fragrant flowers. And what a beautiful gift to share with an intimate loved one! So give self-massage with warm oil a try. You may be amazed at the results that manifest. Take in the wisdom of the ancients, and cherish yourself with a massage. Abhyanga, or self-oil massage, has many health benefits. Overall it protects and nourishes the skin, but it has a bonus effect as the oil absorbs into our deepest tissues to keep them supple, strong, and toned, and enhances their quality.